Ripper Street is headed back to the States. BBC America recently announced that season four of the UK drama will premiere this summer. Set in Victorian London, the historical drama stars Matthew Macfadyen, Jerome Flynn, and Adam Rothenberg. The series moved to Amazon in the UK when the BBC cancelled it after two seasons. Earlier, Amazon announced that season five would be the last season for Ripper Street. Season four will premiere on BBC America on July 28th. What do you think? 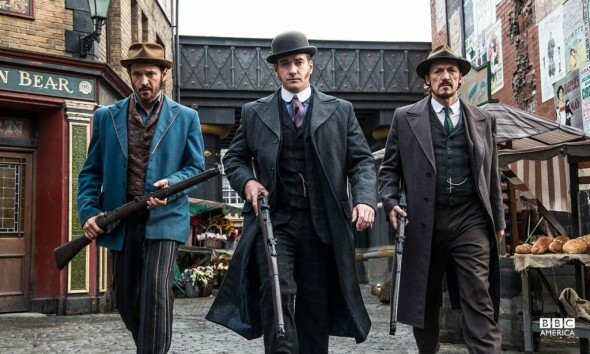 Are you a fan of Ripper Street? Will you watch season four? More about: BBC America TV shows: canceled or renewed?, Ripper Street, Ripper Street: canceled or renewed? I love this series. The acting is first rate and the stories have been excellent. I was truly disappointed at how season four ended as without a doubt one of my favorite characters and actors did not make it in the end. I’m in mourning as a result.